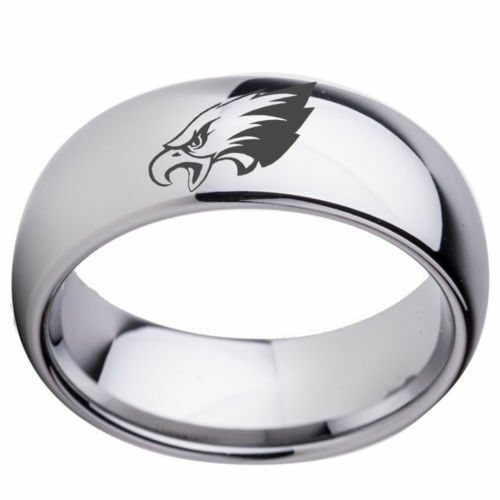 Celebrate the Victory over the Patriots with this Eagle Superbowl Tungsten Ring! Ordered this ring for a friend to give to her boyfriend, a lifelong Eagles fan in a town full of Lions fans. He hardly ever takes it off now. Fits perfectly and goes well with his leather Eagles jacket. Thank you for making it a really great experience. Just got this in the mail today and love it! Sorry Pats fans - this time it is our turn! Love the ring, thank you!